Are you looking for a training provider that offers efficient and relevant courses in first aid? At MJ Training, we offer a variety of in-depth courses in first aid for the workplace, as well as for individuals and voluntary organisations. They’re provided both at our venue in Lowestoft and on site anywhere across Norfolk, Suffolk, Essex and London. Call us for more information. Accidents can happen in your workplace. As an employer, it is important for you to ensure the health and wellbeing of your employees. By getting your staff trained in first aid, you can not only make sure that an employee injured due to an accident gets the necessary attention quickly, but you can also safeguard yourself against legal action. We are approved by Qualsafe Awards, an awarding organisation that is recognised by Ofqual to offer regulated qualifications. When you contact MJ Training, you can be sure that you’re in safe hands. Find out more about our courses by getting in touch with our team today. There can be an emergency at your workplace at any time. If your employees are trained in providing first aid in these instances, they will be able to provide help quickly and save lives. At MJ Training, our first aid at work training courses provide your employees with an extensive first aid skill set so that they can identify incidents and manage them adequately. This course also fulfils the recommendations of the HSE that all workplaces should have a designated first aider to provide immediate assistance until more qualified help arrives. On the 1st October 2017 the Level 2 Award in Emergency First Aid at Work (QCF) course, has been relaunched as the Level 3 Award in Emergency First Aid at Work (QCF) Course. This is a one day course, whose certificate is valid for three years. 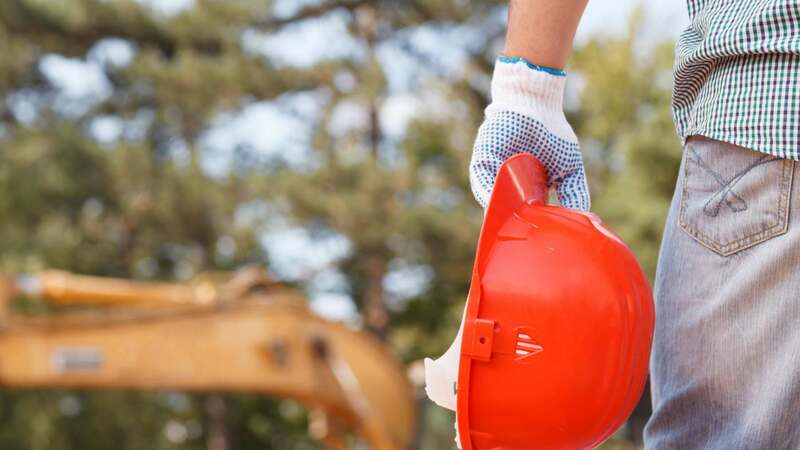 We can also award our own non-regulated certificate for this course, which is still recognised by the Health & Safety Executive and is exactly the same course, but you are not paying the cost of the regulated certificate. The Emergency First Aid at Work qualification is day one of the 3 day First Aid at Work course. 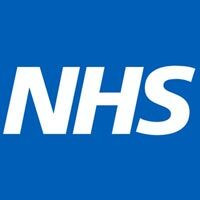 This 3 day course is a much more in-depth course covering a range of other subjects, on other illnesses and injuries and giving the candidate more chance to practice their skills. This certificate is again valid for 3 years and can be renewed with the 2 day First Aid at Work Requalification course, so long as it is undertaken within a month of the original certificate expiring. At MJ Training, we offer both the 3 day and 2 day Level 3 Award in First Aid at Work (RQF) qualification. 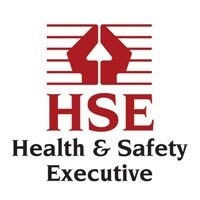 Or we can award our own Non-Accredited Certificate which is still recognised by the Health & Safety Executive at a reduced price if preferred. We offer this qualification at our venue in Lowestoft on our open courses, or we can come to your venue to deliver the course to your staff on site. You do not have to undertake this course on three consecutive days, so long as the three days are completed within 6-10 weeks depending on whether it is the 2 or 3 day course your undertaking. We also provide ongoing support for all courses for the lifetime of the certificate, as well as reminders for renewals and where certificates are due to expire. A revision service for first aiders is also available as well as 24/7 support. Once your first aid certificate has expired you can no longer act as a first aider in the workplace and other arrangements must be made by the employer to ensure sufficient cover. We run these half day courses on the morning of the Emergency First Aid at Work and the morning of the Emergency Paediatric First Aid Courses. We also offer a half day Emergency First Aid course that satisfies the CQC requirements for the Care Standards Certificate. You also achieve a non-accredited certificate. Contact us for more details. We can also deliver tailored short courses in first aid to suit the client/group. These can be delivered during the day, evenings and weekends, for families, businesses and other organisations. If the course you are looking for is not listed, or for more information on any of our courses, including available places on specific dates, contact our office today. If you are looking for paediatric first aid training in Norfolk, then look no further, you’ve come to the right place. 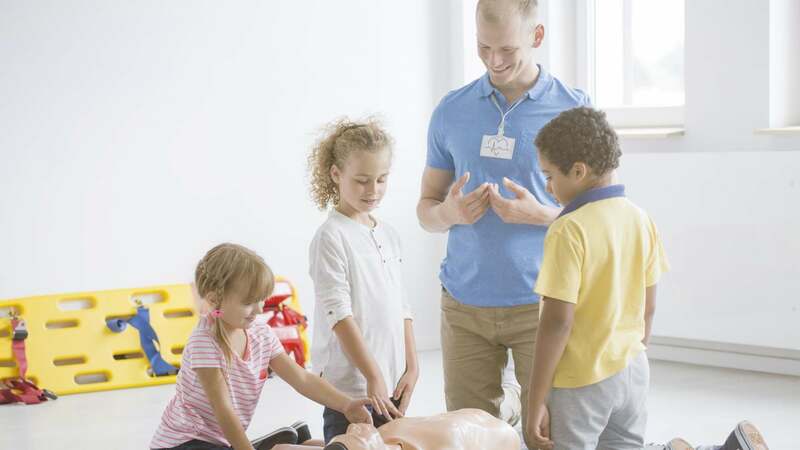 At MJ Training, we specialise in providing a range of paediatric first aid courses that include a range of industry and environment specific paediatric first aid, to customers across Norfolk and the UK. We provide courses at our fully equipped venue, or there is also the option that we can visit your premises to carry out the training. The Paediatric courses that we provide are for those who have to identify and manage emergency situations as well as manage minor everyday occurrences when looking after young children. When you choose MJ Training for paediatric first aid in Norfolk, rest assured that you’re in the best hands as our team are fully qualified and meet the criteria for effective paediatric first aid training. Who needs paediatric first aid training? The paediatric first aid courses that we provide are appropriate for a range of educational centres which includes Schools, Pre-school groups, Playgroups, Day nurseries, Parent and toddler groups, Creches, SureStart Children’s Centres, Childminders, Foster carers and Babysitters. What do the First Aid Paediatric Courses include? This course is great for new mothers, grandparents and babysitters, it covers first aid principles, basic life support including CPR, action for choking, bleeding, shock and dealing with minor injuries. If you’re in need of CPR and AED courses in Norfolk, there’s no need to consider another training company, you’re in the best hands. 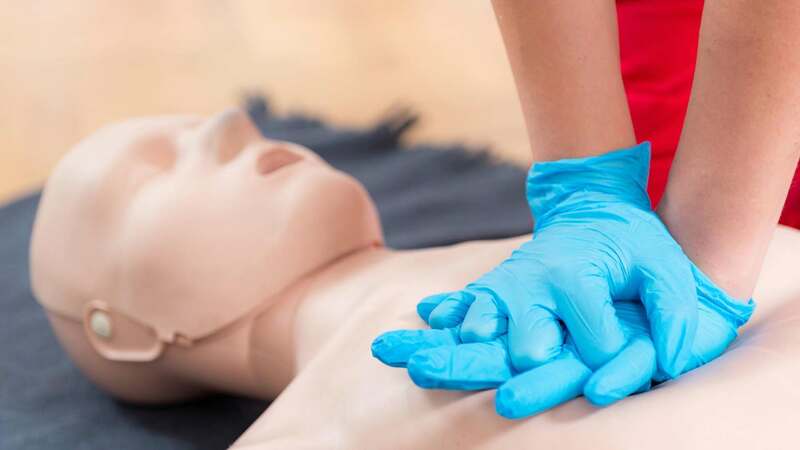 At MJ Training, we’re specialists when it comes to providing CPR and AED courses, we’ll ensure that we include a range of industry and environment specific CPR and AED training, to customers across Norfolk and the UK. We provide courses at our fully equipped venue, or there is also the option that we can visit your premises to carry out the training. Heart and circulatory disease claims around 200,000 lives each year and many of these could be saved should defibrillators have been available. Automated External Defibrillators (AED’s) are now becoming more common throughout a range of public workplaces. Casualty’s survival rate will dramatically increase if an AED is available and if you have appropriately qualified personnel to use it. The courses that we provide are practical and will enable learners to use the AED competently and with confidence, not only does this course deals with the use of AED but it also includes vital training in resuscitation and choking procedures. The qualification will last for 3 years, to renew his qualification after three years, it will be required that delegates retake the full course, it’s also recommended that during this three year period delegates attend annual refresher courses. Should you need Forestry First Aid courses in Norfolk, you’re in the right place. At MJ Training, we specialise in providing a range of Forestry First Aid +F courses which cover all of the environment specific forestry first aid areas, to customers across the UK. We provide the training at our fully equipped first aid venue, or we can visit your premises to carry out the courses. The Forestry First Aid Course is regulated and nationally recognised qualification has been designed to provide delegates with the knowledge and skills needed to deal with emergency first aid situations in forestry and agricultural environments. This qualification is deal for those who work or intend to work in forestry, agricultural or remote environments, such as tree surgeons and farmers. The short yet informative course provides delegates with the knowledge and practical competencies needed for the treatment of injuries and diseases that could occur whilst working in a forestry/agricultural specific environment. The topics covered are extreme hot and cold temperatures, managing catastrophic bleeding, crush injuries and Lyme disease. At MJ Training, we’re experts when it comes to a variety of in-depth courses in first aid for the workplace, as well as for individuals and voluntary organisations. Based in Lowestoft we provide our first aid training across Norfolk and Suffolk, Essex and London. For more information, call our team today. I just wanted to thank you personally from all of us. This week we had a clients 80 year old wife go down whilst we were working at their property. She had heat stroke which lead to her collapsing, going into a fit and then stopped breathing. Thankfully she started breathing about 20 seconds later just as i was getting ready to start CPR. I assumed that because she was older and the fit had caused her system to reboot. Our whole team went into a synchronized system of emergency, one shutting down machinery, one calling an ambulance and another bringing me the first aid and trauma box. We kept her in the recovery position as we knew she would feel faint if she sat back up and monitored her until the ambulance arrived. 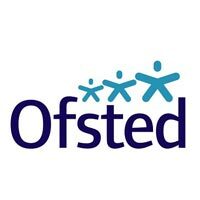 I am 100% sure we would of not been able to help her effectively, relay information and know what to do if we had not attended the course you delivered. None of us were really prepared for the adrenaline of the situation and the clients husband going into mild shock too, but afterwards we all chatted about how you said it takes you by surprise and you will feel exhausted because of our mild panic/fight or flight instinct. The paramedics were happy with how we had her and we were able to provide them with our basic assessment that we assumed it was extreme heat stroke. Thankfully shes made a full recovery and again we would like to compliment you on how your course allowed us to be of assistance rather than a hindrance by knowing what to to.